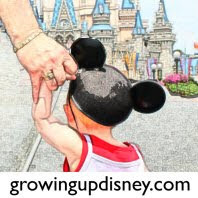 Growing Up Disney: A Walk Around The World With Ridge--Eat To The Beat! A Walk Around The World With Ridge--Eat To The Beat! During the Epcot International Food and Wine Festival, in addition to the smattering of decadent delights dotting World Showcase there is also entertainment on select nights at the America Gardens Theatre. Acts from yesterday and today perform throughout the entire month of October and the early weeks of November. In previous years we have gotten to hear Sister Hazel, Big Bad Voodoo Daddy and Taylor Hicks. These performers will be back this year along with seven new acts, including Sugar Ray and 38 Special. This year I'll be able to catch 38 special and Night Ranger October 20-21, 22-24 respectively. Even in years when the performers haven't been anyone I would normally care to see, I have never been disappointed with the live shows. The American Gardens Theatre is a great venue for making every seat seem like a good one. Now if you are one of those people that just have to be down front and center then you need to be planning ahead. Depending on who is playing that evening, a line can start forming several hours in advance. The theatre has only bench seating and to me it isn't great but last two times I was there we stood the whole time anyway. 10/1-10/3: Taylor Dayne, "Tell It to My Heart"
10/4-10/5: Kool & The Gang, "Celebration"
10/9-10/10: Taylor Hicks, "Do I Make You Proud "
10/11-10/12: Air Supply, "Lost in Love"
10/13-10/15: Sister Hazel, "All For You"
10/16-10/17: Howard Jones, "No One Is To Blame"
10/20-10/21: 38 Special, "Hold on Loosely "
10/22-10/24: Night Ranger, "Sister Christian"
10/25-10/27: Billy Ocean, "Caribbean Queen"
10/28-10/31: Starship starring Mickey Thomas, "We Built This City"
11/1-11/3: Boyz II Men, "End of the Road"
11/4-11/5: Roger Hodgson formerly of Supertramp, "Give A Little Bit"
11/6-11/7: Jon Secada, "Just Another Day"
11/10-11/11: Rick Springfield, "Jessie’s Girl"
11/12-11/14: Big Bad Voodoo Daddy, "You & Me & the Bottle Makes Three"
Bottom line, the concert series is a tremendous addition to the Food and Wine Festival and great fun will be had by all. With good music, great food and flowing exotic imported beers, the atmosphere is electric. Live entertainment is available nightly during the festival and the bands play at 5:15, 6:30 and 7:45 p.m. Even the early birds among us can watch the entertainment. If you go, don't worry the good times are included in the admission price. Have fun; I hope to see you there. Do you have a favorite band you want to hear at the Food and Wine Festival? Let us know who you are excited to see. I know that Kool & the Gang can put quite a show and Sister Hazel is a really good time. Looks like a great line up this year. I saw Taylor Hicks last year. He put on a show that would "make you proud". I agree; taylor hicks puts on an amazing show (saw him in knoxville, tn... not disneyworld). I agree that the majority of acts are ones that most would never go out of their way to see, but it adds tremendously to the atmosphere and joy of the food and wine festival. Great article!